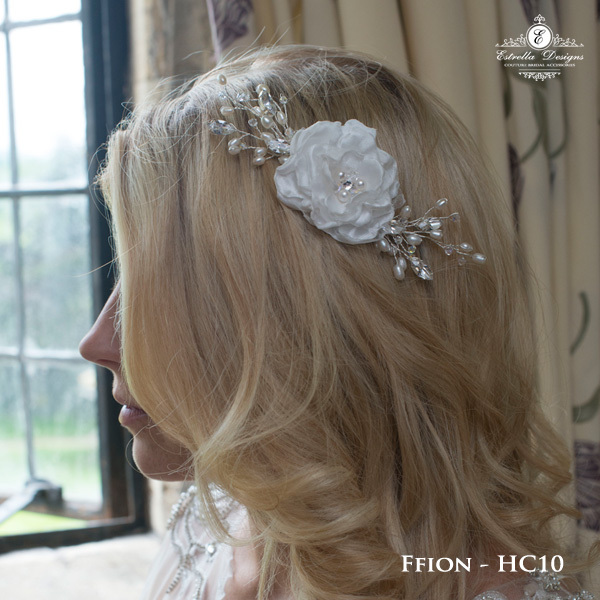 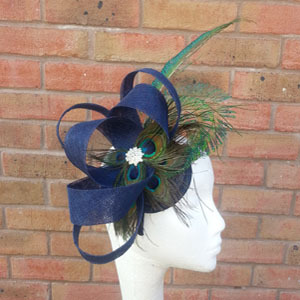 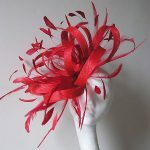 Product ID: 519 Categories: Birdcage Veils & Feathers, Fascinators, Hair Combs. 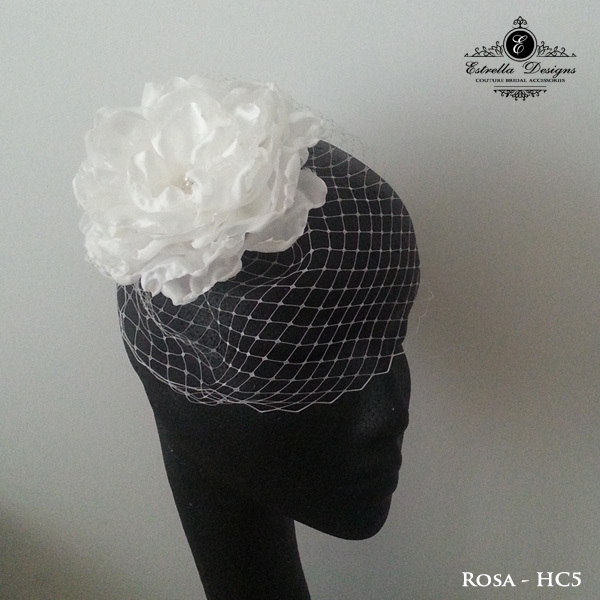 Tags: large flower, organza, satin. 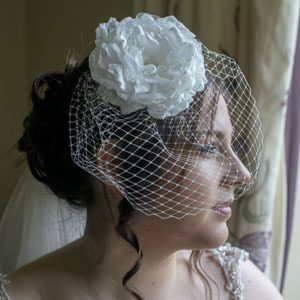 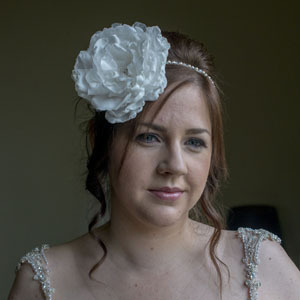 This is a fabulous handmade flower headpiece made from satin and organza, with a diamante, swarovski crystal and pearl centre. 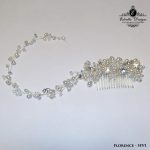 It can be attached using a large clip or comb.